Nicklaus Golf Balls—the line of premium golf balls designed, tested and perfected under the direct supervision of legend Jack Nicklaus—announces a special offer in honor of the Golden Bear’s 75th birthday, wherein customers can purchase three dozen Nicklaus Golf Balls for the bundle price of $75, beginning on Nicklaus’ birthday, Wednesday, January 21st, and valid through the end of the month. This limited-time offer provides significant value—including savings up to $21 a purchase—on the company’s critically acclaimed models, which are available in three unique options to benefit players of all skill levels. 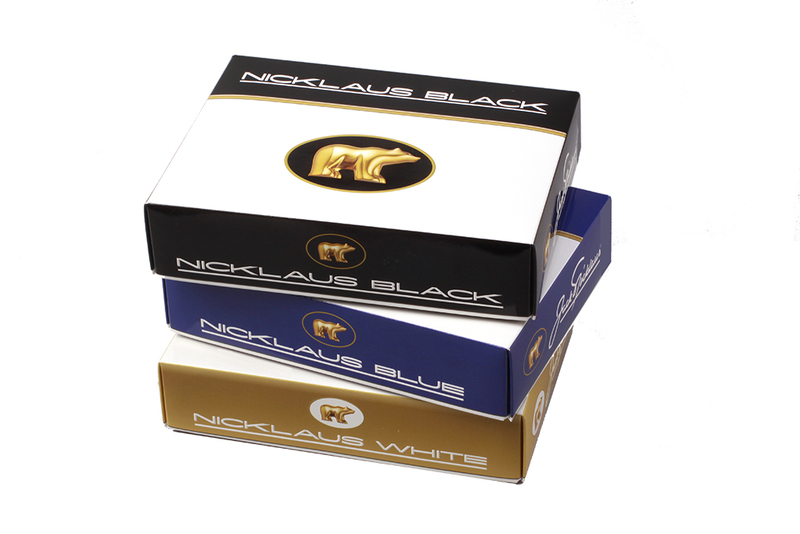 Available at www.nicklaus.com, the special includes free shipping and handling. This promotion continues the commitment of the Nicklaus Companies to support children’s charities nationwide. For every dozen sold through nicklaus.com, the company makes a minimum donation of $1 each to the Nicklaus Children’s Health Care Foundation (NCHCF) and St. Jude Children’s Research Hospital®. When FedEx delivery services are used, another $1 is donated to St. Jude. Nicklaus Golf Balls are engineered for players with a variety of swing speeds. Offered in three models—Black, Blue and White—golfers choose their ball according to the color of the tee markers from which they typically play. The color-coding makes choosing the correct ball easy, benefitting scores and pace of play. Nicklaus worked closely with experts in materials, technology, engineering, design and manufacturing to develop these made-in-the-USA products. Nicklaus Golf Balls are exclusively sold at nicklaus.com and pro shops at the more than 200 domestic Nicklaus Design courses. This saves players money by reducing costs built into products sold through traditional retail channels. As a result, the premium line is attractively priced at $28 to $32 per dozen, and generates greater charity donations, as visitors to nicklaus.com have the option to make a voluntary contribution.